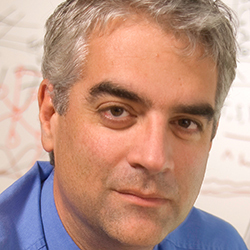 Nicholas A. Christakis M.D., Ph.D., M.P.H. Award Year: 2000 There are major gaps in our understanding of how morbidity and mortality in one spouse affect the health and life of the other. Our rapidly aging population coupled with increased chronic disease, will likely result in serious health consequences for elderly individuals with ill or dying spouses. In his project, Dr. Christakis conducts an analysis based on observation, theory, and policy of the relationship between marriage and health. His conceptual framework draws on three related theories stress as a source of illness, the role of social support in mitigating disease and mortality, and social capital. Several health policy questions are addressed including: 1) when and how support services might best be delivered to newly-widowed individuals; 2) how to identify individuals at greatest risk; and 3) how marital health effects should be factored into the planning of health care services for the elderly. Nicholas A. Christakis, MD, PhD, MPH, is a social scientist and physician who conducts research on social factors that affect health, health care, and longevity. He directs the Human Nature Lab at Yale University, and is the Co-Director of the Yale Institute for Network Science. He is the Sol Goldman Family Professor of Social and Natural Science at Yale University. Dr. Christakis’s current research is focused on the relationship between social networks and health. People are inter-connected, and so their health is inter-connected. This research engages two types of phenomena: the social, mathematical, and biological rules governing how social networks form (“connection”), and the biological and social implications of how they operate to influence thoughts, feelings, and behaviors (“contagion”). His research involves the application of network science and mathematical models to understand the dynamics of health in longitudinally evolving networks. To the extent that health behaviors such as smoking, drinking, or unhealthy eating spread within networks in intelligible ways, there are substantial implications for our understanding of health behavior and health policy. This body of work has also engaged the spread of obesity and of emotional states such as happiness, depression, and loneliness. Other recent work has involved experiments examining the network spread of altruism, here and here. Most recently, he has become interested in the genetics and evolutionary biology of social network structure here, here, and here. His book on the way social networks affect our lives, Connected: The Surprising Power of Our Social Networks and How They Shape Our Lives is available here. This book has been translated into nearly 20 foreign languages, and it has been widely reviewed. His main collaborator in this research is James Fowler. Elwert, F., Christakis, N.A. The Effect of Widowhood on Mortality by the Causes of Death of Both Spouses. AJPH, 2008, 98(11): 2092-8. Christakis, N.A., Allison, P.D. Mortality after the Hospitalization of a Spouse. NEJM, 2006, 354(7): 719-30. Christakis, N.A. Social Networks and Collateral Health Effects. BMJ, 2004, 329(7459): 184-5. Iwashyna, T.J., Christakis, N.A. Marriage, Widowhood, and Health-Care Use. Social Science and Medicine, 2003, 57(11): 2137-47. Christakis, N.A., Iwashyna, T.J. The Health Impact of Health Care on Families: A Matched Cohort Study of Hospice Use by Decedents and Mortality Outcomes in Surviving Widowed Spouses. Social Science and Medicine, 2003, 57: 465-75.